SCM19 is a medium sized, stand-mount, two-way design with a height slightly over 43 centimeters and a width of about 26 cm. It is a quite heavy loudspeaker for its size, with a weight of more than 17 kg, the main reason for this being the woofer whose magnetic system weighs nine long kilos. Here, ATC uses a 150 mm diameter SL series (Super Linear) driver with a long-throw suspension cone made of treated/impregnated fabric and an aluminum cast chassis. The voice coil has a large diameter (75mm, equal to its soft dome that, also, plays the role of the dust cap) and features the well-known ATC underhung architecture which includes a flat conductor coil that stays constantly in the magnetic gap during its movement. The massive magnetic system (which is configured so as to allow better cooling of the voice coil) is made of neodymium and features the SL technology rings, which -according to ATC- significantly reduces the harmonic distortion by minimizing one of its root causes, the magnetic hysteresis of conventional magnetic materials. As already mentioned, the magnetic system is quite heavy and its diameter is comparable to that of the driver diaphragm. The SCM19 is ATC's HiFi series top stand-mount model, featuring curved side panels and a natural wood finish (available in two colors). 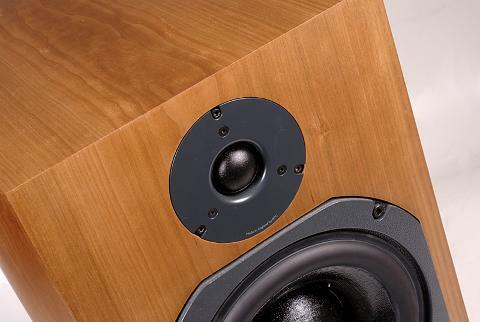 The high-frequency part of the audio spectrum has been assigned to the SH25-76, a 1-inch, soft dome tweeter, the same used in the top Hi-Fi series model, SCM40. As is probably already known, this is a dual suspension SC architecture (Short Coil) design, an approach used in other ATC drivers too. According to ATC, the double suspension ensures greater rigidity to the overall dome structure, thus better mechanical performance and precision in movement, while the use of a "short" coil (i.e. a coil expanded less along its longitudinal axis but with more winding layers) which does not come off the magnetic circuit, ensures very good linearity, and as a result low distortion. In practice, one can note that this is the "underhung" design approach adapted to a tweeter structure. The filter supporting the two drivers features a crossover frequency at 2.5kHz and offers the possibility of bi-wiring through typically good binding posts. 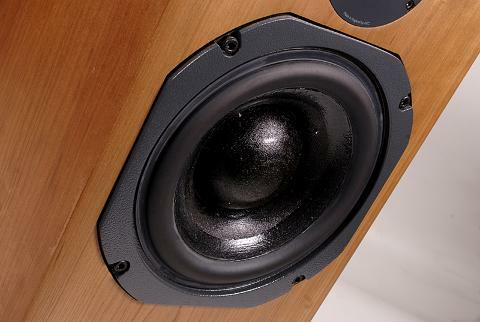 The high-frequency part of the audio spectrum has been assigned to the SH25-76, a 1-inch, soft dome tweeter, the same used in the top Hi-Fi series model, the SCM40. 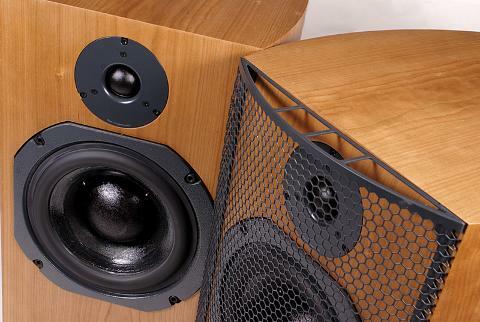 For mid and low frequencies SCM19 features a 150 mm diameter SL series (Super Linear) driver with a long-throw suspension, a cone made of treated/impregnated fabric and an aluminum cast chassis. 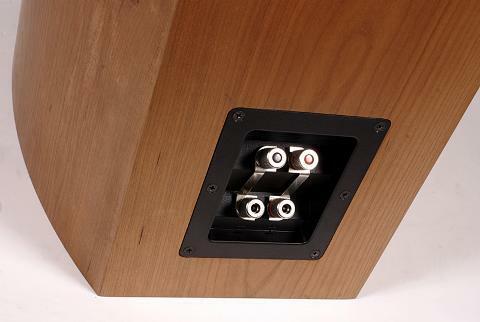 SCM19 features a closed-box cabinet, which is the bass loading method used by ATC for the whole Hi-Fi series. It has curved side walls and is available in two finishes, Black Ash and Cherry (the latter being the finish of our review sample, shown in the accompanying photos). 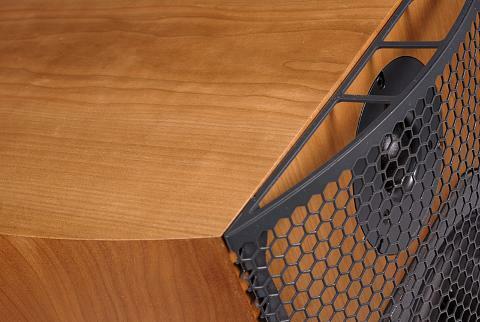 For driver protection, a characteristic for the series, magnetically attached honeycomb metal grill is used. 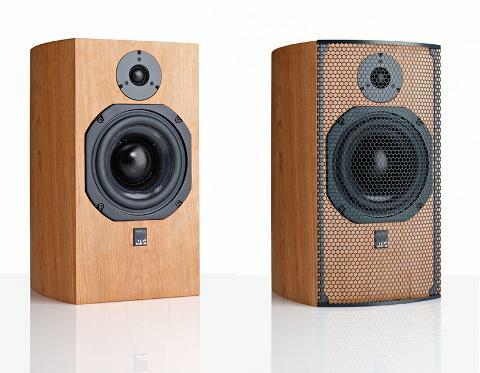 According to the specs published by the company, the final result of all the above, is a loudspeaker with an 85dBSPL/w/m sensitivity, 8 ohm nominal impedance and a frequency range between 54Hz and 22kHz (-6dB), with very good pair matching (± 0.5 dB) and a quite high maximum sound level at 108dB/1m. The metal protective grill is magnetically attached to the front baffle and, although a bit "industrial" in appearance, is, in fact, the best we have measured so far, with an almost negligible contribution to the final result. Binding posts are of typically good quality and allow bi-wiring.